The Church has started an Evangelical program through television called Aradhana. This means "Worship" in the main language of Andhra Pradesh (Telugu). Aradhana was first broadcasted on the Helapuri Cable Vision (HCV) Network on November 12th, 2005. 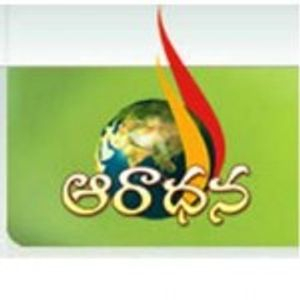 Aradhana currently airs every Saturday from 8:00PM to 8:30PM in Telugu. Bishop John delivers messages and prays for the needy on this program. The broadcast reaches approximately 100 neighbouring villages apart from the city of Eluru. Broadcasts of Aradhana continue due to your donations. As we have no studio of our own, Bishop John personally travels to the studio of Siti Cable and records messages there before each broadcast. To erect our own studio, it would cost about $4500 CAD.